VO2 max testing, also referred to as “maximal oxygen uptake,” is one of the best measures of athletic performance and overall health. 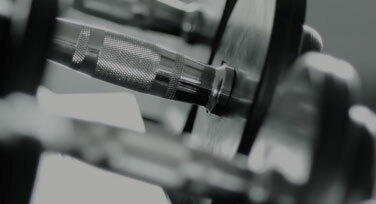 Used by professional athletes and personal trainers alike, VO2 max testing can play a crucial role in a rigorous training program or help you push past a plateau. A.M. Total Being Fitness proudly offers VO2 max testing in Southfield. Our personal trainers will help you take your fitness to the next level—call us or get in touch with us through our website to schedule a free assessment! VO2 max testing is done in a laboratory or fitness center with the guidance of a professional, usually a personal trainer or coach. You’ll be placed either on a treadmill or on a bicycle, and the intensity of your exercise will gradually increase in intervals. A mask will be placed over your face in order to measure how much oxygen you intake and exhale during exercise. The goal is to push your body to the point where it can no longer take in any additional oxygen—this is your VO2 max. The test will generally take no more than 20 minutes, but you can expect to be worn out when the test is over. If you’ve ever trained with weights, you know how important it is to know where your starting point is. Although most researchers agree that your VO2 max is partially determined by your genetics, it can be improved. 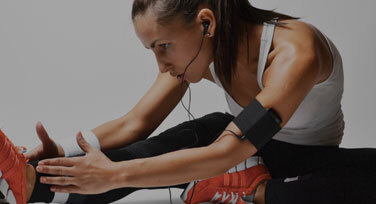 Knowing your VO2 max will allow you and your personal trainer to develop a plan that addresses your current cardiovascular health and can help you push beyond your current fitness level. 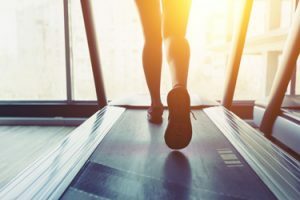 Long-distance running, sprinting, and high-intensity interval training all depend on cardiovascular health, and training with the goal of improving your VO2 max will almost surely improve your performance in other areas. While it’s possible that athletes in peak condition have already achieved their VO2 max, knowing your VO2 max will allow you to train so that you stay in the best possible shape throughout the year. A.M. Total Being Fitness’ clients have seen amazing results from VO2 max testing. Take Jane Doe**, for example. Jane started out by training three days each week, but she didn’t develop a progression plan or pay much attention to her diet. She began to take advantage of our VO2 max testing program in order to determine a more efficient training plan for herself, and the results were astounding. In just a few months, her metabolism had increased by 18 percent and she was burning 57 percent more fat each day. Jane and her personal trainer used VO2 max testing to develop realistic and efficient workout plans that generated amazing results! If you want to improve your VO2 max testing with training, you have several options to choose from. Studies have shown that high-intensity interval training, either using a time-based or a repetition-based approach can help you increase your VO2 max. If you’re not sure about where to begin when it comes to high-intensity interval training, just ask one of our personal trainers! Other methods of increasing your VO2 max include biking, sprints, and long-distance running. Whichever approach you decide to use, stick with it and stay motivated in order to see the best results! A.M. Total Being Fitness provides Top Rated Local® personal training, nutritional coaching, wellness coaching, and so much more! We offer free fitness consultations, so don’t wait to get in touch with our Southfield fitness center today to take the first steps toward a fitter and healthier life! **Clients’ names are anonymous due to HIPAA privacy rules.